A camera is not in itself political. But the photographic tool carries with it the potential for widespread awareness, reform and revolution. Contemporary protest movements are propelled by the images and videos circulating across social media, broadcasting in plain sight the systemic injustices and atrocities still inextricably linked with blackness in America. 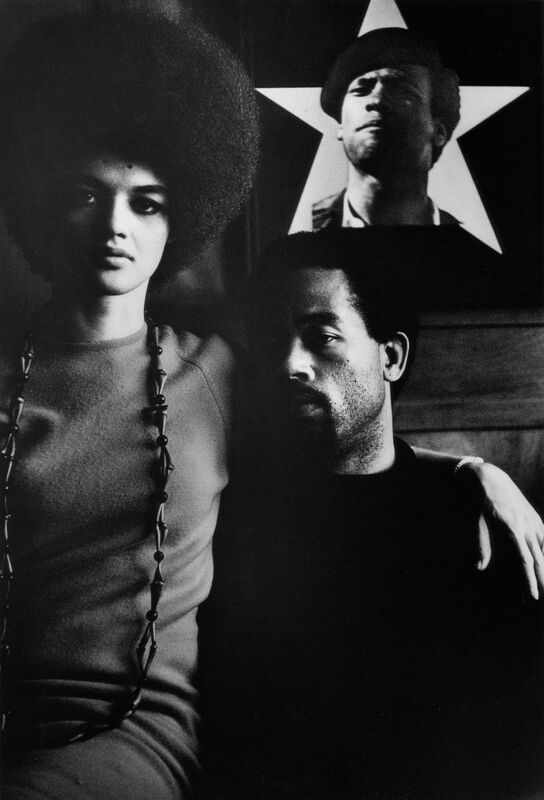 Eldridge Cleaver and His Wife, Kathleen, Algiers, Algeria, 1970, gelatin silver print, 14 x 11 inches. The Gordon Parks Foundation Courtesy of Jenkins Johnson Gallery. In 1912, when Gordon Parks was born in Fort Scott, Kansas, photographers didn’t document the lives of people of color or the struggles they were forced to endure. Simply being seen was a fight in itself, a fight to which Parks dedicated his life. He grew up in poverty, the youngest of 15 children. After graduating high school, he worked a string of odd jobs — a semi-pro basketball player, a waiter, a busboy and a brothel pianist. Over time, Parks became enamored with the photography of the Farm Security Administration — how artists like Jack Delano and Dorothea Lange captured the plights of migrant workers and Depression-era communities. 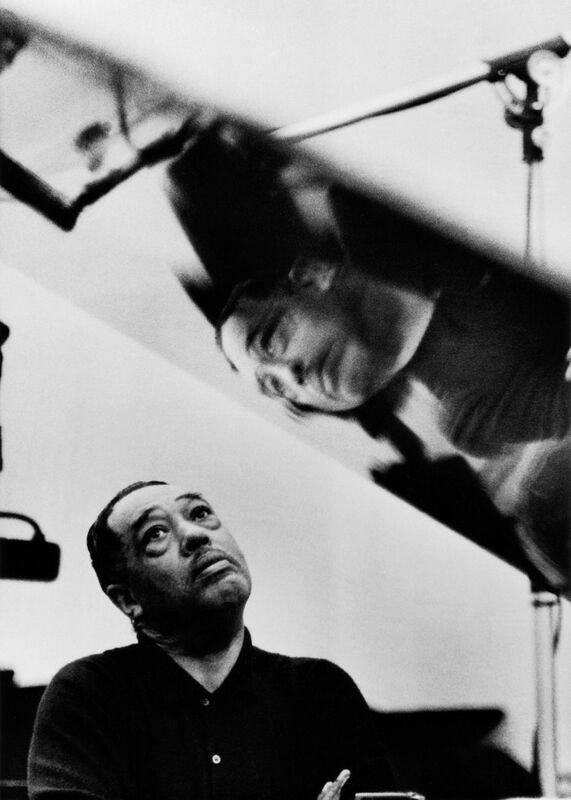 “I saw that the camera could be a weapon against poverty, against racism, against all sorts of social wrongs,” he told an interviewer in 1999, seven years before his death. “I knew at that point I had to have a camera.” Eventually, Parks visited a pawn shop and purchased a camera of his own. Untitled (Black Panthers), Harlem, New York, 1963, silver gelatin print. 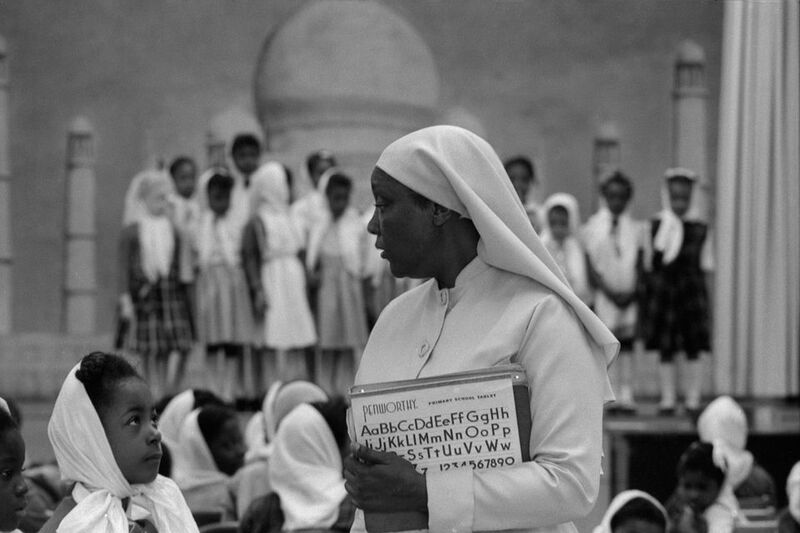 The Gordon Parks Foundation, Courtesy of Jenkins Johnson Gallery. From 1948 to 1972, Parks served as a photographer for Life magazine, becoming the first African-American photographer in the publication’s history. During his time at Life, Parks captured images that have since become immortalized in the history of Civil Rights, his visuals piecing together a history that otherwise may have never been told. Invisible Man Retreat, Harlem, New York, 1952. c. The Gordon Parks Foundation Courtesy of Jenkins Johnson Gallery. Park’s essays begin with “A Man Becomes Invisible,” based on Ralph Ellison’s 1952 National Book Award-winning novel Invisible Man. Ellison’s novel, from the perspective of an unnamed black protagonist, explores the isolating experience of being a black man in America. In one of Parks’ photos, titled “Invisible Man Retreat,” an unnamed subject sits alone, listening to Louis Armstrong records, illuminated by the glow of 1,369 light bulbs. Soon after, in 1956, Parks embarked on a series titled “Segregation Story,” documenting the lives of an African-American family, the Thorntons, living under Jim Crow segregation in 1950s Alabama. Instead of focusing on the milestone moments in the fight for racial justice, Parks focuses his lens on quiet acts of prejudice — a separate line at the ice cream shop, a back entrance at the local department store — that often go undocumented. Untitled, Washington, D.C., 1963, pigment print. c. The Gordon Parks Foundation Courtesy of Jenkins Johnson Gallery. Together, the images sought to debunk the most heinous myth at the core of racism — that there is something inherently different about individuals of different skin colors. Chronicling the Thorntons in their most banal moments — sitting on the couch, playing outside — Parks captured the beautiful ordinariness of African-American life, not significantly different from American life whatsoever. His images exposed many Americans to the realities of segregation for the first time, setting off an irreversible sequence of events that catalyzed the Civil Rights movement as we know it today. 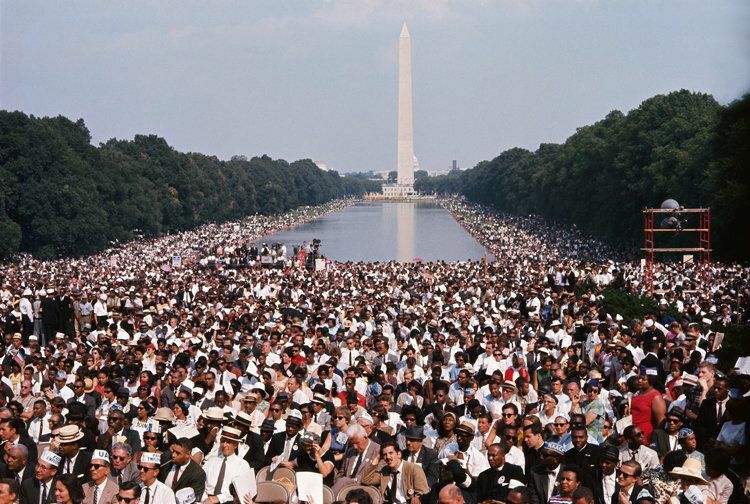 Parks’ 1963 series “The March on Washington” documents the titular occasion in black rights history, including one unforgettable image of the Washington Monument, brimming with people of all backgrounds desperate for change. Untitled, Chicago, Illinois, 1963, silver gelatin print. c. The Gordon Parks Foundation Courtesy of Jenkins Johnson Gallery. 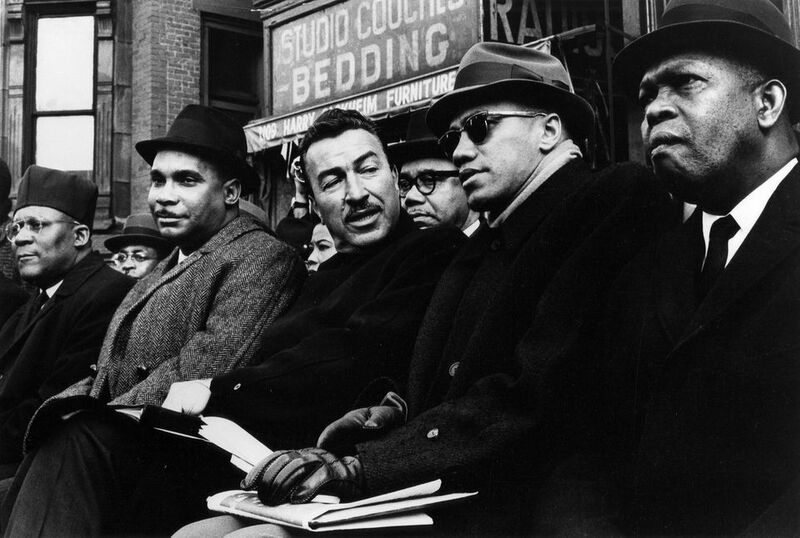 Parks also documented another faction fighting for racial justice, the Nation of Islam, crusading for the separation of black and white America. Led by Malcolm X and Elijah Muhammad, the movement refused to speak with white journalists, allowing Parks unprecedented access to their self-sustaining subculture, complete with schools, stores, places of worship and self-defense training. 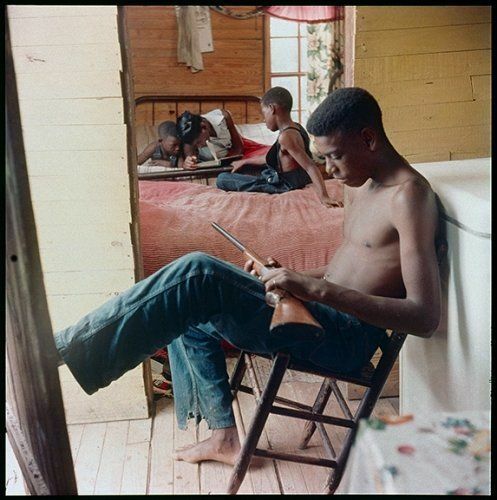 Willie Causey, Jr., with Gun During Violence in Alabama, Shady Grove, 1956, pigment print, 16 x 20 inches. The Gordon Parks Foundation Courtesy of Jenkins Johnson Gallery. 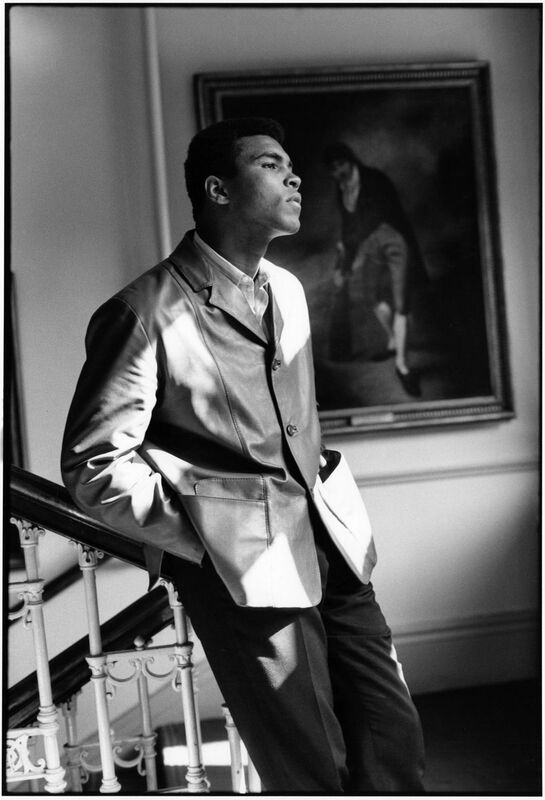 Other photo essays featured in “Higher Ground” revolve around Duke Ellington, Muhammed Ali and the Black Panthers. They illuminate both the history of civil rights and black photography, which can never quite be pulled apart. Today photographers like Carrie Mae Weems, LaToya Ruby Frazier and Lorna Simpson are just some of the individuals continuing Parks’ legacy of truth telling and activism through images. Today, both disheartening and inspiring images regarding black life in America circulate social media with a lifeblood all their own, whether stills from Beyoncé’s “Formation,” the alarmingly white cover of The Hollywood Reporter’s Oscar edition, or photos of the water residents of Flint, Michigan, were encouraged to drink. The late Parks didn’t just document some of the most important moments in American history. With his camera in tow, he paved the way for a generation of image-makers, documentarians, activists and artists; people who cannot consciously bring themselves to look away. “Gordon Parks: Higher Ground” runs through April 2, 2016, at Jenkins Johnson Gallery in San Francisco. Untitled, London, England, 1966, silver gelatin print. The Gordon Parks Foundation Courtesy of Jenkins Johnson Gallery.